Robert Hunsberger is a writer from Montgomery County, Pennsylvania. 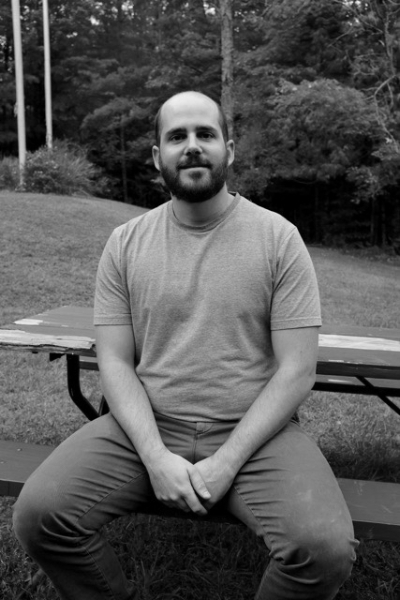 He is currently pursuing his BFA at Goddard College, where he studies fiction, poetry, and autobiographical brevity. Sarah Ann LaFleur is a writer from New Jersey. Chris is a writer from the Rocky Mountain region. He studied journalism in college and plays pedal steel guitar in a rock n’ roll band based in and around New York City. He is currently attending Goddard, working on a novel. China Myers is a Public Relations & Marketing specialist for a plethora of high profile clientele. She is a people person. She loves the excitement of building marketing strategies, networking, creating memorable social events and traveling with her family. Her most important journey is the novel within her that is soon to be released. In between time, she enjoys quiet escapes, being a tour guide at the Getty and being with her family. Originally from the Netherlands, Anita has lived all over the United States and Europe. From California, to Antwerp, Belgium, Seattle Washington, and Brooklyn, she now lives in the beautiful Hudson Valley of New York with her fiancé and teenage son. Anita has worked as a graphic designer since 2004, with a special affinity for book cover designs. As a lover of books and a closeted writer for most of her life, Anita has filled numerous pages with the diary entries she has kept since the age of twelve. Anita is currently working on a memoir, based on her diaries, and is thrilled to be in her second semester as BFAW student at Goddard College. Reign is a suburban LA writer whose writing gravitates toward mental health, addiction, and interpersonal connection. His personal mission is to clean his own room, and in a parallel universe, he is in a band. With his work, Reign hopes readers might finish reading and feel compelled to say, “Damn, this is how life is.” He has also served as poetry editor for College of the Canyons’ cul-de-sac literary and arts magazine, where several of his pieces have been published. Brynne Rebele-Henry’s poetry, fiction, and nonfiction have appeared in such journals as Prairie Schooner, Denver Quarterly, The American Poetry Review, and Blackbird, among other places. Her writing has won numerous awards, including the 2015 Louise Louis/Emily F. Bourne Poetry Award from the Poetry Society of America, and a 2017 Glenna Luschei Award from Prairie Schooner. Her first poetry book Fleshgraphs appeared with Nightboat Books in 2016 and was an Honorable Mention for the Library of Virginia Awards. Her second poetry book, Autobiography of a Wound, won the AWP Donald Hall Poetry Prize, and came out with the University of Pittsburgh Press in 2018. Her first YA novel, Orpheus Girl, is forthcoming with Soho Press in the fall of 2019. M. A. Vizsolyi is the author of two books of poetry The Lamp with Wings: Love Sonnets, (HarperPerennial) winner of the National Poetry Series, selected by Ilya Kaminsky, and Anthem for the Wounded (Sibling Rivalry Press). He is also the author of the chapbooks, Notes on Melancholia (Monk Books) and The Case of Jane: A Verse Play (500places press), which was produced for Performa 13 and broadcast on National Public Radio. Vizsolyi’s work can be found in numerous journals, including The New Orleans Review, Narrative, Crazyhorse, Cream City Review, The Journal, Pleiades, The Burnside Review, Harpur Palate, Ninth Letter, Ploughshares, and Gulf Coast. Follow him at his website.